A DECLARATION OF RIGHTS made by the Representatives of the good people of VIRGINIA, assembled in full Convention; and recommended to Posterity, as the Basis and Foundation of Government. 1. That all men are born equally free and independent, and have certain inherent natural Rights, of which they can not, by any Compact, deprive or divest their Posterity; among which are the Enjoyment of Life and Liberty, with the Means of acquiring and possessing Property, and pursueing and obtaining Happiness and Safety. 2. That Power is by God and Nature vested in, and consequently derived from the People; that Magistrates are their Trustees and Servants; and at all Times amenable to them. 3. That Government is or ought to be, instituted for the common Benefit and Security of the people, Nation, or Community. Of all the various Modes and Forms of Government that is best, which is capable of producing the greatest Degree of Happiness and Safety, and is most effectually secured against the Danger of Mal-Administration. And that whenever any Government shall be found inadequate or contrary to these Purposes, a Majority of the Community hath an indubitable, unalienable, and indefeasible Right, to reform, alter, or abolish it, in such Manner as shall be judged most conducive to the Public Weal. 4. That no Man, or Set of Men are entitled to exclusive or separate Emoluments or Privileges from the Community, but in Consideration of public Services; which not being descendible, neither ought the Offices of Magistrate, Legislator, or Judge, to be hereditary. 5. That the Legislative and executive powers of the State should be separate and distinct from the judicial; and that the Mem[bers] of the two first may be restrained from Oppression by feeling and participating the Burthens of the People, they should, at fixed Periods, be reduced to a private Station, and return into that Body from which they were taken. 6. That no part of a Man’s Property can be taken from him, or applied to public uses, without the Consent of himself, or his legal Representatives; nor are the People bound by any Laws, but such as they have in like Manner assented to for their common Good. 7. That in all capital or criminal prosecutions, a Man hath a Right to demand the Cause and Nature of his Accusation, to be confronted with the Accusers and Witnesses, to call for Evidence in his Favour, and to a speedy Trial by an impartial Jury of his Vicinage, without whose unanimous Consent He can not be found guilty, nor can he be compelled to give Evidence against himself; And that no Man be deprived of his Liberty, except by the Law of the Land, or the Judgment of his Peers. 8. That no free Government, or the Blessing of Liberty, can be preserved to any People, but by a firm Adherence to Justice, Moderation, Temperance, Frugality and Virtue, and by frequent Recurrence to fundamental Principles. 9. That as Religion, or the Duty which we owe to our divine and omnipotent Creator, and the Manner of discharging it, can be directed only by Reason and Conviction, not by Force or Violence, and therefore that all men should enjoy the fullest Toleration in the Exercise of Religion, according to the Dictates of Conscience unpunished, and unrestrained by the Magistrate; unless under Colour of Religion, any Man disturb the Peace, the Happiness, or the Safety of Society or of Individuals. And that it is the mutual Duty of all to practice Christian Forbearance, Love, and Charity towards each other. 10. That in Controversies respecting property, and in Suits between Man and Man, the ancient Tryal by Jury is preferable to any other, and ought to be held sacred. (That the freedom of the press, being the great bulwark of Liberty, can never be restrained but in a despotic government. That laws having a restrospect to crimes, & punishing offences committed before the existence of such laws, are generally dangerous, and ought to be avoided. That all laws having a retrospect to crimes, & punishing offences committed before the existence of such laws are dangerous, and ought to be avoided, except in cases of great, & evident necessity, when safety of the state absolutely requires them. --- This is thought to state with more precision the doctrine respecting ex post facto laws & to signify to posterity that it is considered not so much as a law of right, as the great law of necessity, which by the well known maxim is allowed to supersede all human institutions. Another is agreed to in committee condemning the use of general warrants; & one other to prevent the suspension of laws, or the execution of them. From George Mason’s Personal Papers. () Paragraphs added by Thomas Ludwell Lee. I. That all men are by nature equally free and independent, and have certain inherent rights, of which, [F1 when they enter into a state of society, ] they cannot, by any compact, deprive or divest their posterity; namely, the enjoyment of life and liberty, with the means of acquiring and possessing property, and pursuing and obtaining happiness and safety. VI. That elections of members to serve as representatives of the people in assembly ought to be free; and that all men, having sufficient evidence of permanent common interest with, and attachment to, the community have the right of suffrage and cannot be taxed or deprived of their property for public uses without their own consent or that of their representatives so elected, nor bound by any law to which they have not, in like manner, assented, for the public good. XIII. That a well regulated militia, composed of the body of the people, trained to arms, is the proper, natural, and safe defense of a free state; that standing armies, in time of peace, should be avoided as dangerous to liberty; and that, in all cases, the military should be under strict subordination to, and be governed by, the civil power. XVI. That religion, or the duty which we owe to our Creator and the manner of discharging it, can be directed by reason and conviction, not by force or violence; and therefore, all men [F2 are equally entitled to the free ] exercise of religion, according to the dictates of conscience; and that it is the mutual duty of all to practice Christian forbearance, love, and charity towards each other. 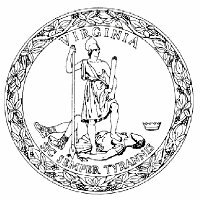 Adopted unanimously June 12, 1776 Virginia Convention of Delegates. F1 Inserted by Edmund Pendleton to exclude slaves (women and Native Americans were also excluded). F2 Amended by James Madison replacing religious toleration with religious freedom.